Leonardo DiCaprio happens to be one of the few individuals who can legitimately claim to be a man of many talents and skills. 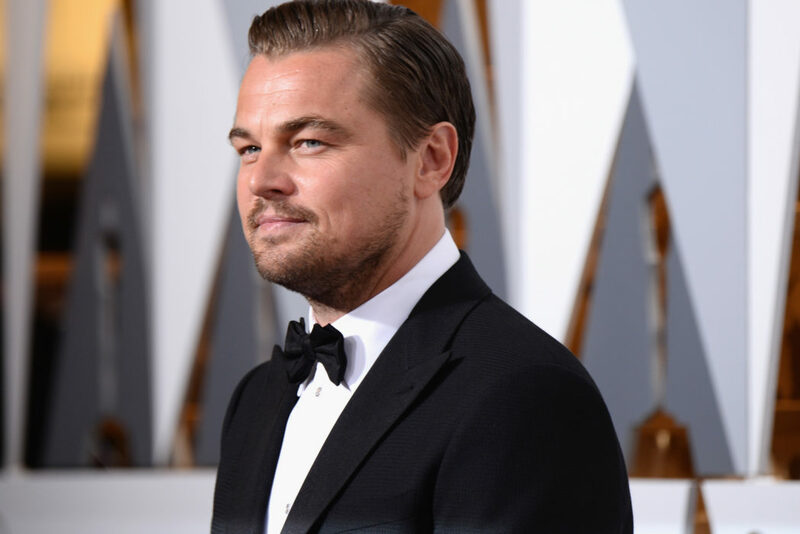 He’s finally been recognised as an Oscar-winning actor, an effective humanitarian and philanthropist. One thing he can’t add to his resumé, unfortunately, is ‘master of disguise’. I love you Leo but sometimes I have to call it like I see it – you definitely need to work on your art of distraction if you want to go into public places unnoticed. 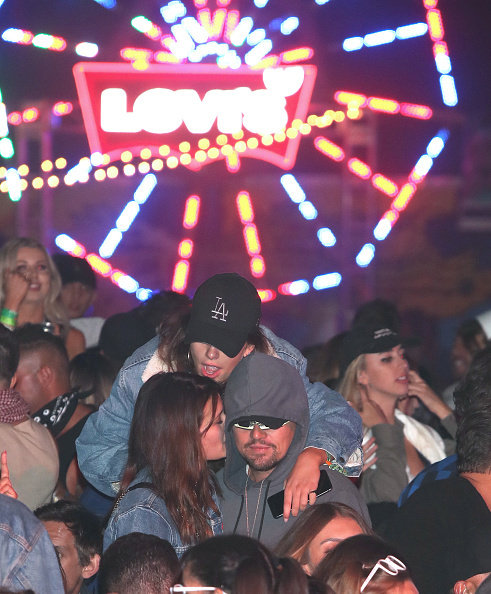 The actor, whose string of critically acclaimed box office hits includes The Revenant (which finally got him that elusive Best Actor gong at the Oscars), The Wolf of Wall Street and Inception, was spotted around various areas of last weekend’s Coachella Festival including the Neon Carnival and Rihanna’s FentyxPuma after party. 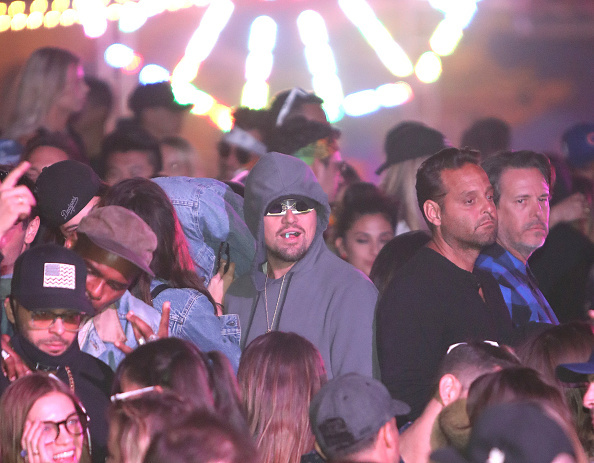 The 43-year-old actor was with his Argentinian girlfriend, 20-year-old model Camila Morrone, donning a basic grey hoodie and eyewear which looked like something only Star Trek: The Next Generation’s Lieutenant Commander Geordi La Forge would wear. 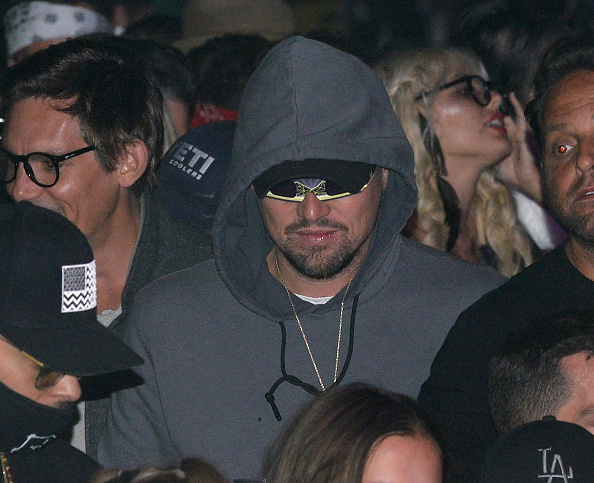 Obviously, the disguise didn’t work because the paparazzi (who were clearly making good use of their prestigious press passes) were able to snap DiCaprio and Morrone at the music festival attended by more than 125,000 music fans – and scenesters who just want to be seen looking cool for the ‘gram. For all their focus on DiCaprio and his crappy disguise, you kind of hope the paps missed the awesome closing performance by the festival’s headliner Beyoncé. As well as putting on a stellar set (as Bey only knows how to do) she reunited with her former Destiny’s Child band members Kelly Rowland and Michelle Williams. At last year’s Coachella, festival goers who didn’t fancy the idea of sleeping in a camp, caravan or a run-down motel could stay at DiCaprio’s Palm Springs Mansion – provided they had the money of course. While the actor wasn’t there to show you around his six-bedroom house, the 7,100 sq. ft property included a master bedroom with its own lounge, bath spa and two saunas – why do you need two?!? The mansion also came equipped with a pool, tennis court and a tennis pavilion, all for the very ‘affordable’ price of $4,500 per night (£3,146). Just to let you know, Coachella is a three-day extravaganza so you’d have to fork out £9,440 for the pleasure. Some have questioned the direction Coachella has gone in recent years with the involvement of corporate sponsors such as Adidas, American Express and HP (Hewlett Packard not the sauce). Purists’ main gripe stems from the festival becoming more of a brand love-in these days in the guise as a music festival (maybe Leo should take notes). However, in spite of those protestations, Coachella remains one of – if not THE – premier music festivals in America, rivalling the likes of Primavera and Sonar in Barcelona, Outlook in Croatia and the UK’s very own Glastonbury. 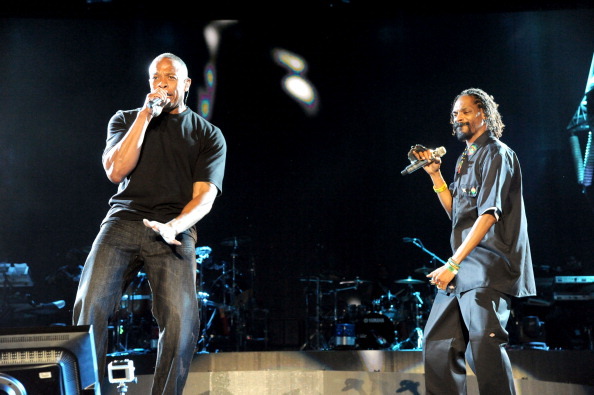 In 2012 hip-hop icons Dr Dre and Snoop Dogg sent Coachella into a frenzy as they played old classics and reunited with friends and proteges including 50 Cent and Eminem. They even managed to raise legendary hip-hop martyr Tupac Shakur back from the dead for a one-off performance – albeit in hologram form.